The app market can be a vicious place, filled with ruthless and unscrupulous developers willing to do anything to make a quick buck - even if it means ripping other developers off wholesale. Thus it's no surprise that popular messaging app Yo has allegedly been copied by several apps, many of which have even better names: Yolo, Oi, YoFrom, and even Yo, Hodor!. 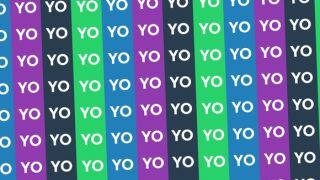 "As the pioneer of a concept, Yo has spawned many clones, though most of the clones offer something slightly different, some of them are a complete replication of the Yo app," Yo creator Or Arbel, who's complained officially about this glut of imitators, told TechCrunch. "Even the App Store description was copied word by word," he continued. "We value creativity and we are in a free market. Improving upon our concept is welcomed, copying us bit-by-bit isn't." Apple is sending notices to Yo's accused copycats, and some have already been taken down - including, regrettably, the Game of Thrones-themed parody Yo, Hodor!. Yo! Check out more of TechRadar's blips!